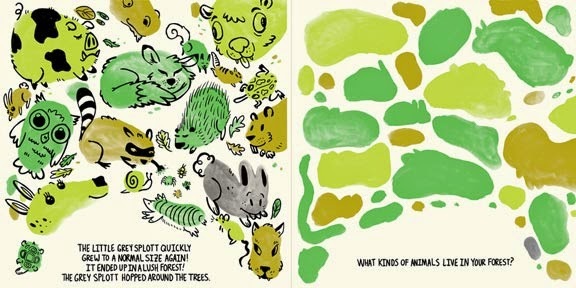 After Nicholas Straight's The Little Grey Splot debuted this weekend at SPX I have the wonderful privilege to have a small contest giving away 10 copies of his book. I thought quite a while on what I was going to do and this is what I came up with. Much like the interactive nature of the book I want people to make a splotch of any color you choose and then turn it into a small comic. 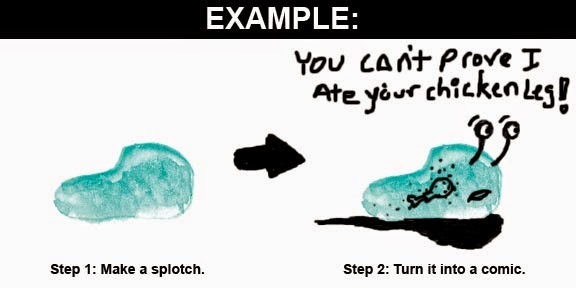 Turn one splotch into one comic. Whatever you want. So if you wanted you could make a blue splotch and turn it into an octopus that lost it's bubble gum dispenser. You could make a yellow splotch and turn it into a star going on vacation. Anything you want. Use the above picture from the book as a rough guide, or the example below. Because I have no idea who is participating I would recommend children doing this as it is technically a children's book, but anyone of any age may enter. Please keep it family friendly. I ask that participants be fair, you may enter as many times as you like but may only win one prize. Once your comic has been finished email the image to (joshuabarsody(at)gmail(dot)com) and then I along with Nick Straight, and if we can get him with Peter Wartman, will judge the comics. All entries will be posted on this blog a week after the contest ends. All entries must be in by Friday October 3 at midnight that night. Be sure to include your name, email, and shipping address in case you win. 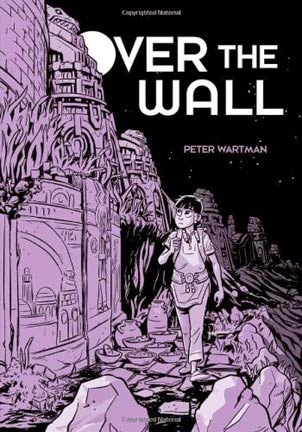 There will be 9 winners of a copy of The Little Grey Splot, and the Grand Prize winner will receive 1 copy of The Little Grey Splot and 1 copy of Over the Wall. If I finagle a bit and we get enough entries I might be able to get them to put personalized autographs on the books as well.